New Drivers! 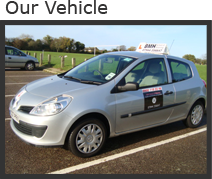 Get your First Lesson Free with BMH School of Motoring! You can contact us either by phone or text on the number above and we will call you back. Please be aware that if using the number above we may not be able to take the call while teaching a pupil so please leave a message and we will call you back, we are sure you would appreciate that if you were the pupil.